If you've come to this post because you googled the search term in it's title...you're the person I want to talk to. I want to reach out to you. Because I know how it feels to be in the place you are. I know how hopeless you feel. It probably changes, comes and goes in waves, or maybe you've felt one way for a really long time and you're beginning to doubt that there's any light at the end of the tunnel. I'm writing this post because I googled those words myself today, too. Because that's how I'm feeling. Right now, at the time of writing this post in January 2017, I can't give you any guarantees that things will get better...I can't give you a positive story right at this moment. Because right now, I feel like there is no light. That all that's in that tunnel is darkness. Right now - despite all of the good and amazing things in my life, despite the fact that I know my three young children need me and that I would be hurting people I love - right now it all feels too hard, and too hopeless and I feel completely alone. Even when I'm sitting in a room with my family, I feel alone. Even when my children are calling for me, I feel useless and unwanted. Even when I'm smiling, I feel sad and desperate. Right at this moment, I feel like there's no hope. Right at this moment, I want to be dead. And I feel so guilty for feeling that way...because I know I have it easier than a lot of people. I feel so guilty because I know that it's selfish. And I feel so guilty because I don't want the people around me to think it's a reflection on them. But that knowledge and that guilt don't take away the fact that I don't want to be here anymore. And the guilt just makes it all worse. I feel like there is no point. I feel like things will never feel any different or get any better. Because sometime's its not possible to see beyond the place you're currently at, and the overwhelming feelings and emotions you currently have. If you feel this way too, then please hang on and hear me out. If you are reading this post, then try to have faith. 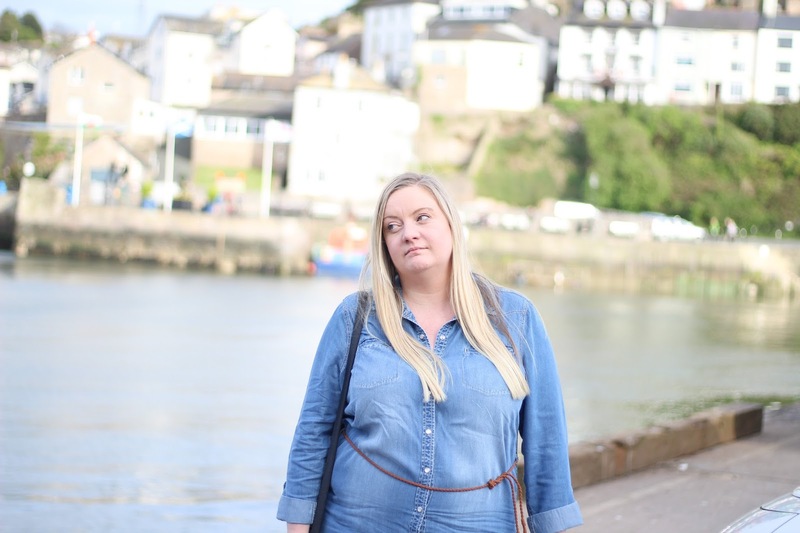 Because the fact that this post has been published today means something HAS changed since I wrote it...It means I got through that day...and that week...and probably the next few months at least. Because the thing is, I won't have the courage to publish this post this until I am feeling stronger and until life feels less bleak. I won't have the nerve to admit to these feelings in public until I know that I have beaten them. So maybe this is a post that will never be read, if I don't beat them and if things don't change, but I really hope that it is published one day. What struck me today when I googled those words was that I ended up on a page called "Suicide Forum"...and that forum had a visitor counter that told me over 2 million people had viewed it in total. ....and that almost 2,000 people had visited that page TODAY ALONE. And in a strange way, it sort of made me feel slightly better...because it made me realise that if 2,000 other people were feeling the same way as I was today...then really, I'm not alone at all. If you're reading this because you googled "Ways To Kill Yourself Without Pain" like I did today...then please stop and take a moment, please just hang on...because the fact that you're reading this means that things changed for me, that I came out the other side of that awful, deep, dark depression. And if it changed for me, it can change for you too. I'm not saying it will be easy, or that in a few months it will all magically go away. I know that I am one of the lucky ones and that for me this has been a relatively short lived feeling - but what I am saying is that the way you feel right now will not last forever. It is not permanent. There are things you can do to make it easier to live with. There are steps that can be taken to make each tomorrow a little more liveable. 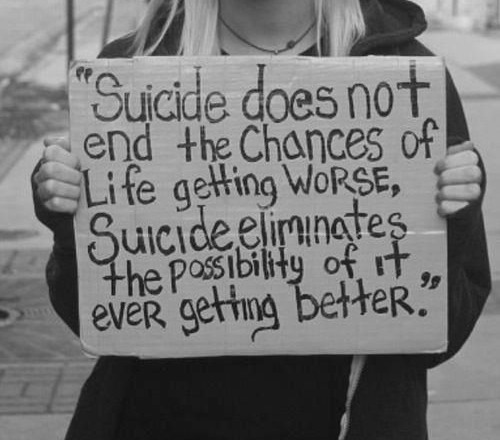 Just hold on a little longer, and reach out to somebody for help. Please. Even if you don't think so right now, your life matters. I am publishing this post today in support of Heads Together - this was not done at their request, but because this is a charity that I want to raise awareness of. I have become very aware of how difficult it is to recieve help and treatment when suffering with mental health problems, and how hard it is to ask for it - Heads Together are trying to change that. "Too often, people feel afraid to admit that they are struggling with their mental health. This fear of prejudice and judgement stops people from getting help and can destroy families and end lives. Heads Together wants to help people feel much more comfortable with their everyday mental wellbeing and have the practical tools to support their friends and family"
i'm so sorry you've been through this. & i'm so happy you're someway out of the other side. Very brave of you to write this post and I am sure that it will be helpful to anyone reading who has found your post via that search term. Heads Together is such a great cause.